Here at Veterinary Neurology of the Chesapeake, we are proud to offer neurologic consulting for Towson, MD and the surrounding areas. Regular veterinarians are great at what they do! They are able to work closely with you and your pet to keep him or her as healthy as possible. However, there are times when your pet may need to see a neurologic specialist to get him or her back to normal. The most common reasons that we see patients include seizures, behavior changes, and trouble walking. Pain in the back and neck is another reason to visit us. If your pet loses the ability to walk, it is considered a neurologic emergency and we need to see your pet as soon as possible. Once they lose feeling in their feet and they become paralyzed, quick action is needed in order to help! We always try to manage your pet with medication prior to running diagnostics and doing treatments. However, there are times when myelograms, MRIs, or a spinal tap are needed. 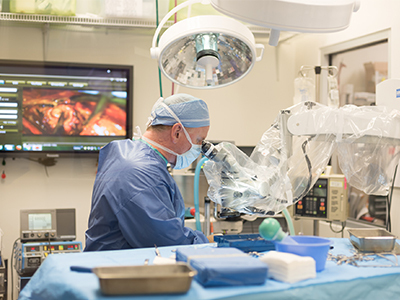 We also have the ability to perform surgery on herniated disks and tumors (in the brain and spinal cord). Our entire staff knows how scary it can be when your pet needs to visit us at the neurologist’s office. We are here to help, making the visit go as smoothly as possible. We are willing to discuss your options, along with the recovery that you are looking into. We will be here for you and your pet every step of the way. If your pet needs a neurologic consult, don’t hesitate to contact us today at (410) 224-0121. There are times when your pet may need to have neurologic surgery and you should look no further than Veterinary Neurology of the Chesapeake. 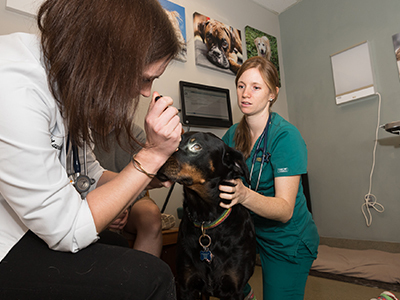 We are dedicated board certified veterinary neurologists, and your pet will be in good hands. The most common surgeries that we perform are hemilaminectomies and laminectomies. These are required when your pet has a herniated disk pinching off the spinal cord. When we perform this surgery, we actually cut a section of the spinal bone out; opening up the spinal canal so that the spinal cord can go back to the normal shape and function. We will clean out the herniated disk to make sure the spinal cord has room, and if a tumor is found, we will do our best to remove it. We place a barrier over the top of the area to protect the spinal cord. Hemilaminectomies and laminectomies can be performed at any spot in a pet’s neck or back, depending on where the problem lies. We have a very high success rate, especially if caught early, and most of our patients are back up and walking with no problems in a few hours, days, or weeks. We also perform surgeries on brain tumors. We make the smallest incision possible, drilling a hole through the skull so that we can visualize the tumor. If possible, we remove all of the tumor. If not, we take out as much of the tumor as we can. Even if we are not able to get it all, taking a sample will allow us to send it out for a biopsy, so we know if there are any other steps we need to take to make your pet feel better. Our surgeries are major procedures that come with strict post-operative instructions. Your pet will need to be confined for six to eight weeks to fully heal. During that time, we will work with you every step of the way to ensure a successful recovery. If you have any questions about neurologic surgery or you need to schedule an appointment, don’t hesitate to contact us today at (410) 224-0121.